If you are a small business retailer or service provider outside of the big cities then the biggest threat to your survival is the internet and yet so often I hear small business owners say I don’t have time to learn and then run an internet site. As you can see, from my photo I am no pimply faced IT millennial, in fact twenty years ago I was running workshops around Australia including Nambucca and Bellingen trying to prepare small business for the need to adapt to change and adopt technology. The threat that online shopping presents is greater than ever and grows every day…. it’s not too late for you. But I realise that now more than ever you are time poor just trying to survive. And so I want to offer you some solutions that won’t break your budget and just might help you to turn over stock faster ..turn old stock back into cash and may open new markets. This isn’t a one solution fits all … I have been self employed for almost 40 years with real life experience in retail, hospitality, IT and finance. 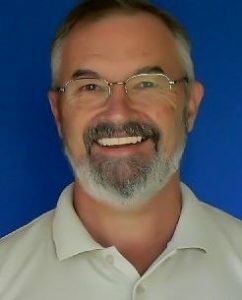 I will assess your business opportunities and offer you a range of managed and self managed options such as a dedicated web site with shopping cart or maybe an ebay store or just making use of free Gumtree listings, my advice will be aimed at driving you towards a successful future. If you don’t have time or the aptitude we can manage your online presence for you – right down to listing your services or items. All of our sites are hosted in Melbourne data centre – we provide you with fully managed service and full support, no offshore call centres. 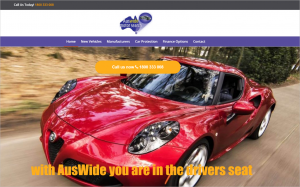 Fantastic new WordPress version of this site for Auswide Motor Search – we took a stale static site and turned it into a dynamic, interactive and mobile friendly WordPress site. 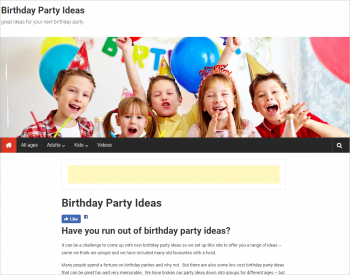 Birthday Party Ideas a site listing over 40 great free or low cost party ideas – our Facebook page has just passed 2,400 followers!! !